We've got you covered. Banking, finance, real estate, mortgage, credit union, legal, title or any other oversized documents you may have, rest easy...they're in a safe place. Tucked into one of our folders! There are now eco-friendly stock choices. We've got you covered. Banking, finance, real estate, mortgage, credit union, legal, title or any other oversized documents you may have, rest easy...they're in a safe place. Tucked into one of our folders! 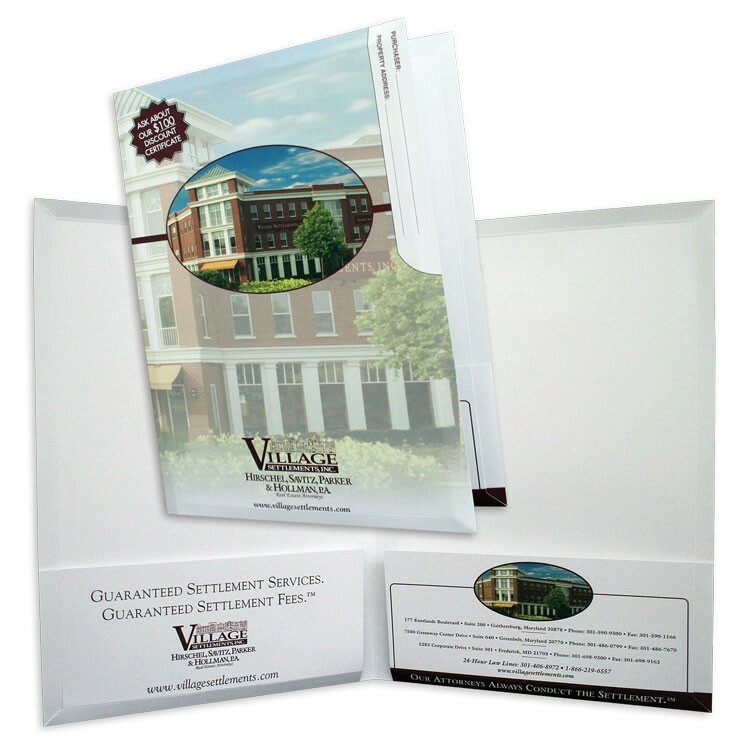 Conformer® Expansion Folders expand to fit their contents while staying flat, looking great and protecting materials from damage. 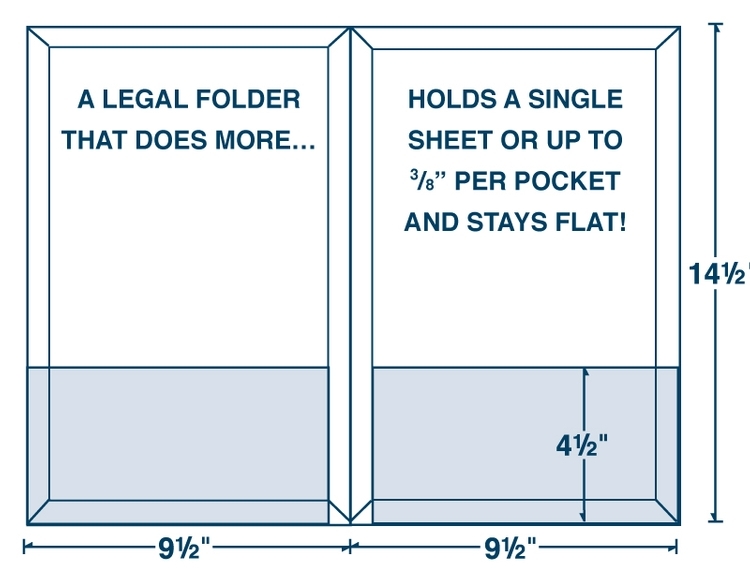 Due to their unique design, they can hold from 1 to 100 sheets of paper, spiral bound books and other materials of varying thickness. 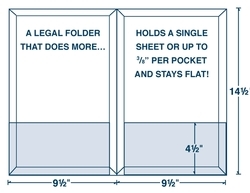 Shipping flat saves on shipping and storage costs. A U.S. Patent number is required to appear on all Conformer® Expansion folders. We will automatically add this copy in small type to one of the panels. (Not the front cover). NOTE: There is no reinforced edge on this item. 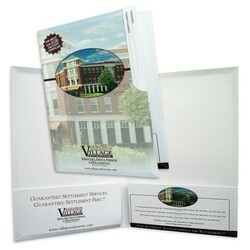 Price Includes : Four Color Process on front and back cover plus pockets with gloss aqueous coating. Priced on base white stocks. Business Card Slots (optional): Slots are positioned off center. Holds a 2" x 3-1/2" business card in landscape position. Please specify on which pocket(s) the slots should appear. Call for other pocket options. Production Time: Ten working days. Schedules can often be adjusted based on the specifics of your order.